Description: Tanarmi Tanfoglio model GT41 Semi-auto pistol serial #F50097, 41 AE, 5 1/2" barrel with a bright, excellent bore. The metal surfaces retain 99% original blue finish. The checkered hard rubber grips rate excellent. This pistol is in virtually as-new condition and includes an original factory case, two magazines, cleaning brushes and manual. 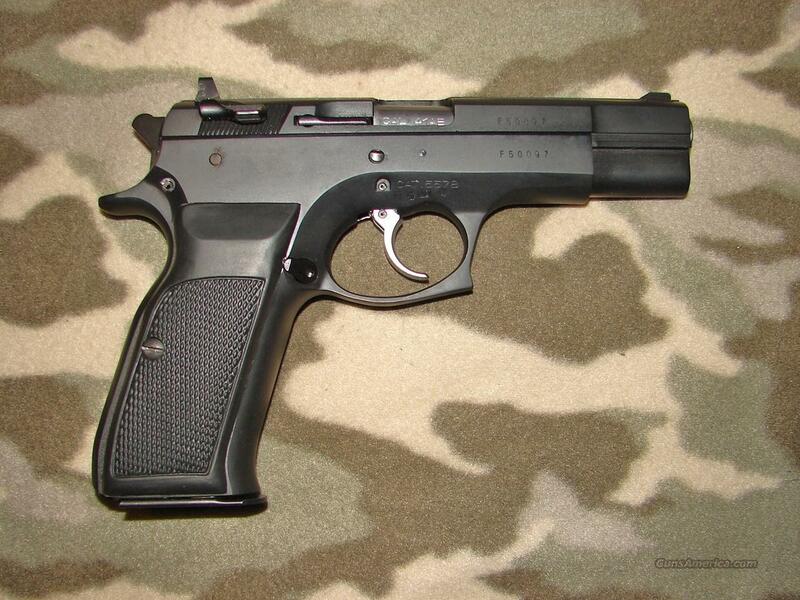 A good looking pistol in a rather unusual caliber.